Weathertech is now available at eEuroparts.com! For many of us out there, the interior of your car is as important, if not more important than the exterior. Afterall, it’s where you spend most of your time while you drive it. Freshly available from eEuroparts.com is WeatherTech, a company that has built a substantial name for itself in the last decade or so with their innovative laser scanned and molded floor and cargo mat sets. OEM floormats are always pretty good, with a nice fit and usually a classy logo. WeatherTech forces that one step further, with extremely well made all-weather floormats with features that keep any mud and dirt off your luxury European carpet with no chance of side leakage. On top of that, WeatherTech is 100% American made (American materials, American tools), making them a high quality product that we’re proud to get behind. 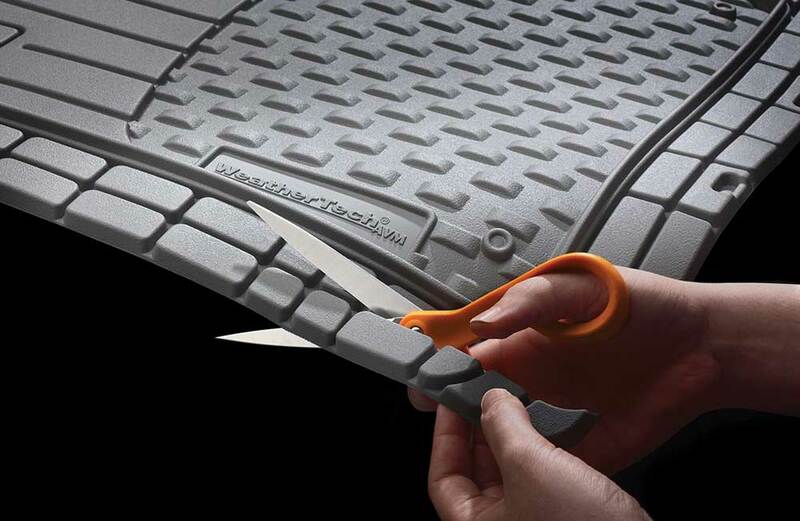 WeatherTech is known for having the best floor liners on the market, and we’re glad we can now sell them at eEuroparts. 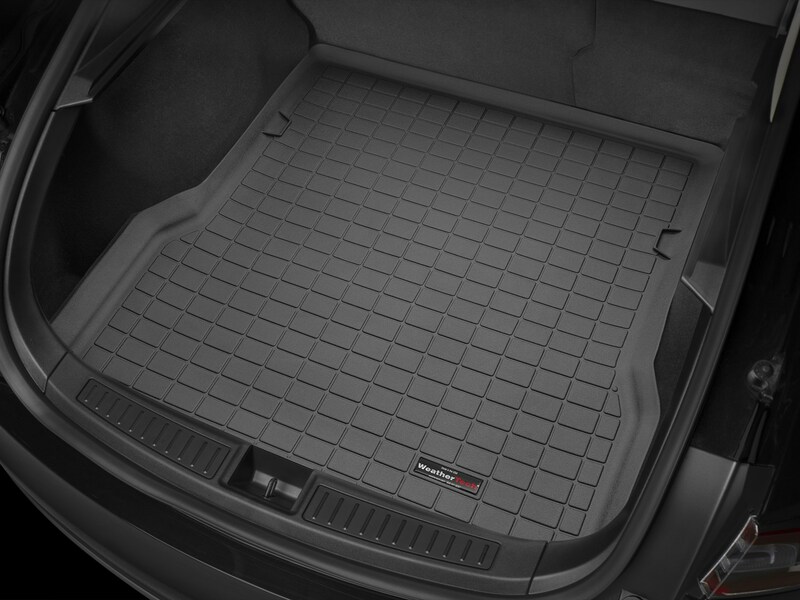 Made of high density materials with proprietary surfacing, Weathertech floor liners are designed by laser scanning the vehicles footwell and electronically forming the floor liners in the computer. There’s no way to get a more perfect fit than that. It’s important to note that because of how custom these products are made they won’t be available for all vehicles. Universal fit mats are available, if you are interested in one of these solutions and a Genuine option isn’t available, let us know and we’ll get you fixed up with the right size and color. Laser measuring and custom making each floor liner for every car is pretty much impossible. 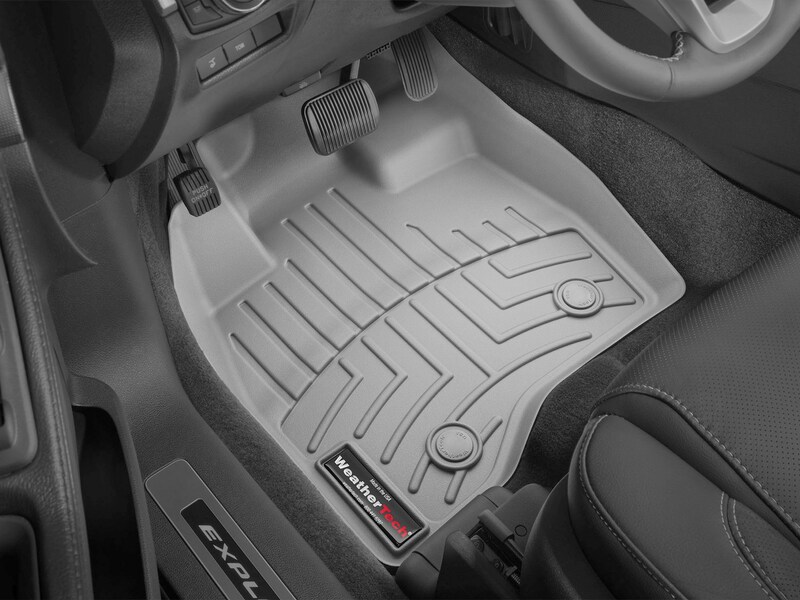 WeatherTech® has HUNDREDS of applications covered for custom floor liners but you may find that we don’t have one for your car, and that’s OK because there is a solution. 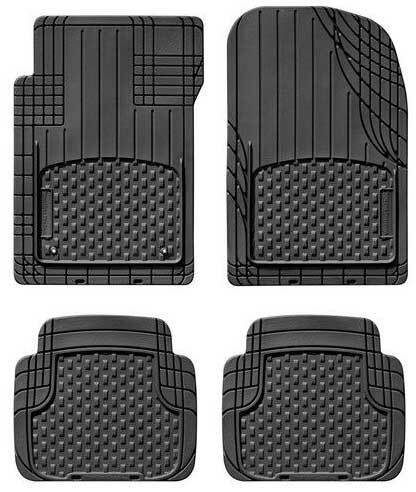 Enter AVM floor mats, which are made for the user to be able to trim and custom fit. Each AVM floor mat has a series of grooves that you can use as guides to cut to fit. The AVM Floor Mats are available in three common colors, light gray, tan, and black. There are also two configurations you can buy the AVM Mats in, three piece and 4. Three piece AVM Mats have a single long mat for the back, which is best suited for classic cars or trucks that dont have a central hump. For cars that do have a transmission or exhaust tunnel in the back, there are 4 piece sets as well. All are multi-configurable with a simple pair of heavy duty scissors. If you have a wagon or SUV, chances are you do your best to take full advantage of your cargo space. WeatherTech cargo liners take it a step further, offering enough protection to effectively turn your cargo area into a truck bed. No more vacuuming flower dirt up or shampooing wet dog out of your carpet. Like the AVM Floor Mats, there is also a universal fit cargo mat that you can configure to your exact space if there isn’t a custom made option for your car yet. WeatherTech cargo liners are laser measured and formed out of a flexible high density proprietary TPE blend to provide excellent durability and perfect fitment. Again, it’s important to note that because of how custom these products are made they won’t be available for all vehicles. Universal fit mats are available, if you are interested in one of these solutions and a Genuine option isn’t available, let us know and we’ll get you fixed up with the right size and color. 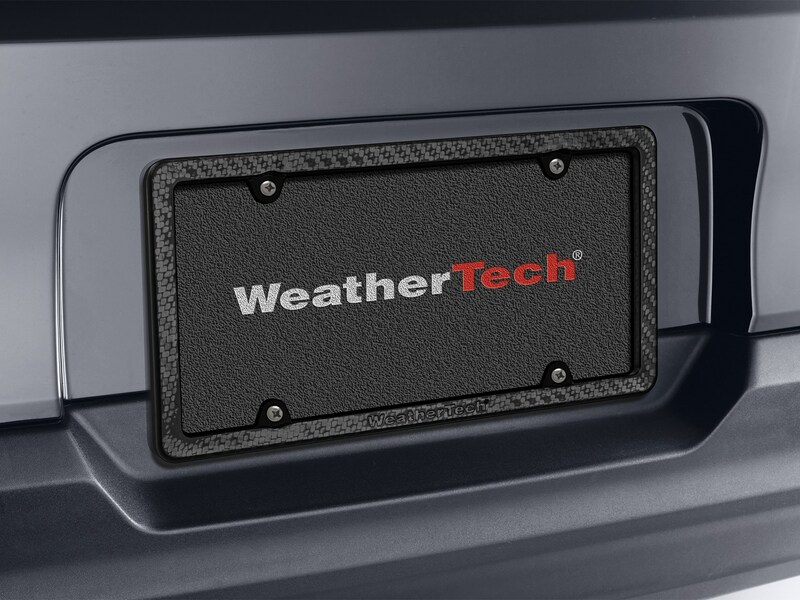 WeatherTech Rainguards are custom fit per vehicle, and install in the window channel so you don’t have to use tape. 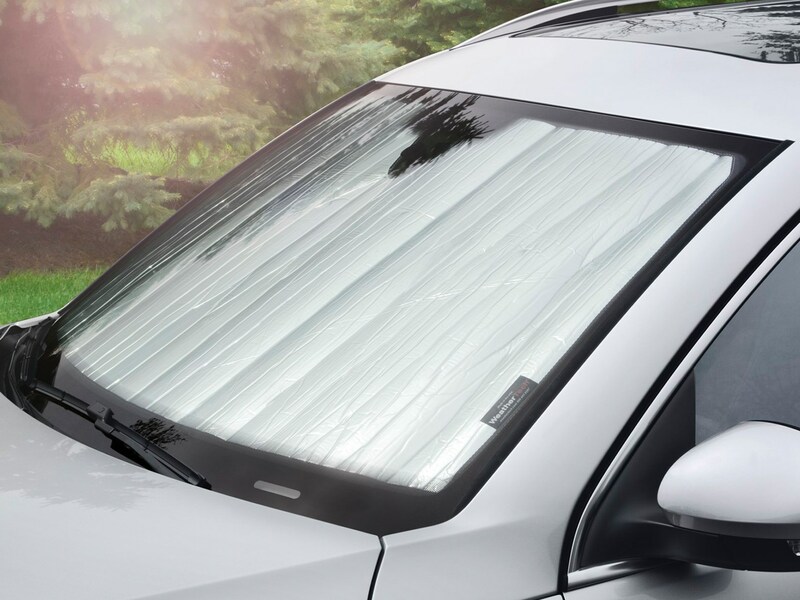 Designed to allow you to vent the interior of the car during inclement weather, you don’t have to be afraid to crack your windows on hot days with storms in the vicinity. 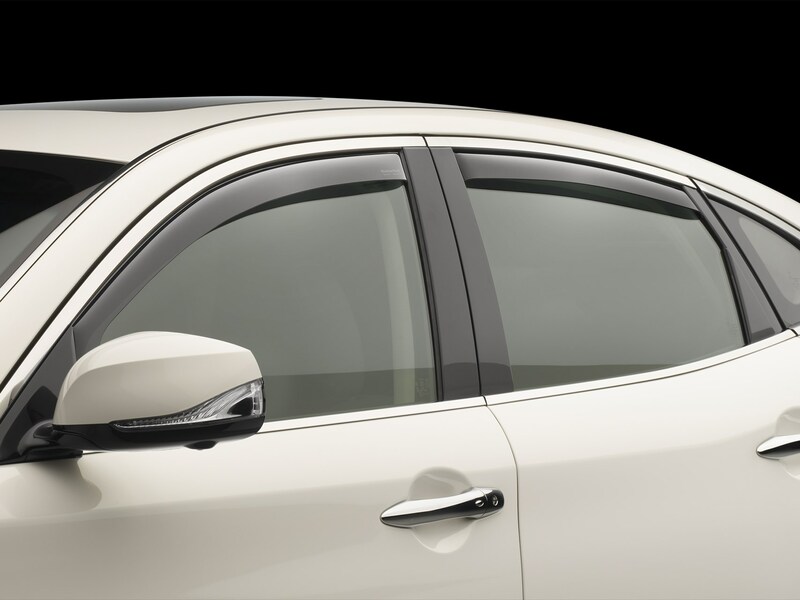 They also help reduce wind noise with the windows down, and are the only tinted side window deflectors in the world that carry a DOT approved glazing material. Designed in America, manufactured in Germany. Available in light and dark tint. Also available are sunroof deflectors and hood mounted bug deflectors for certain applications. This is a really neat new product line that we are excited to try out for ourselves. Featuring two sides, one reflective silver and one absorbent black, these sunshades aren’t just for reflecting hot and damaging UV rays off your interior surfaces. They can also help keep the windshield warm in cold temperatures to aid in defrosting and keep the inside of your car a tad warmer in the winter months. They are cut specifically for each individual application, and in some cases come in full kits to cover multiple windows. If you’re the type to leave a car at an airport or train station for a few days in the summer months, these come highly recommended. Filling out the line is a variety of detail and cleaning supplies to check out, for those of you always looking for something different. Here at eEuroparts we like to give you options, so if you want something other than Sonax, we have some other choices. 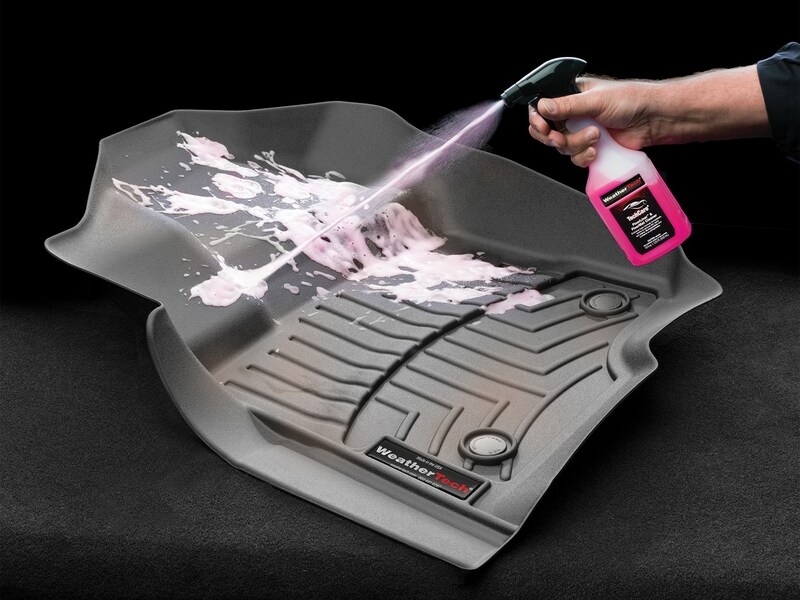 Specifically there are a few plastic cleansers and dirt repellents made to service the floor liners and cargo mats. ClearCover – Virtually indestructible frame with, you guessed it, a clear cover over it. Comes with seal to keep all contaminates and moisture out. Available in 17 colors, if you want one we don’t list let us know. ClearFrame – Same as the clear cover without the lens, available in 17 colors. BumpFrame – Made of an impact resistant plastic that protrudes out further than a standard frame. On cars with the right plate placement, it can help avoid scuffs from parking accidents. Carbon Fiber – 100% real carbon fiber license plate frame, none of that fake eBay stuff. High clarity, epoxy laminated woven carbon fiber with a smooth glossy finish. Billet Aluminum – A heavy duty solid billet aluminum low profile sourced from American raw materials and available in three colors. If you are looking to get a little specific, we also have a full selection of OE Genuine license plate frames for your individual make. They’re nice but they don’t make mats for SAABS? As you can imagine, we are pretty much completely bombarded with this comment and the answer is that we’re working on it. Hopefully we can gather enough clout to convince Weathertech there are enough Saabs on the road to put these into production. Until then, the cut-to-fit universal mats should be a much better option than other universal all weather mats out there because their design lets you cut them to the exact shape of your footwell, getting closer to a custom fit than many others on the market.